Don’t Let Neck Pain Knock You Down! 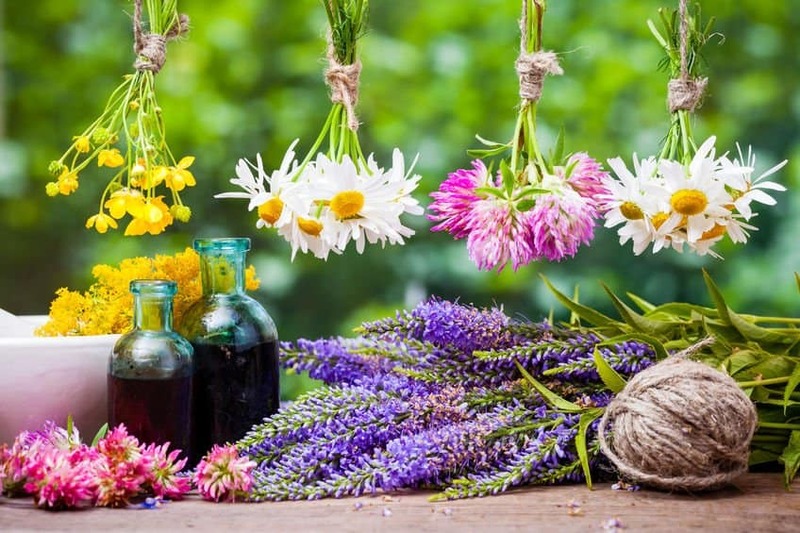 Allow Nature To Soothe The Hurt With Essential Oils! Every time I watch a clip from the movie “Entangled”, only one thought courses through my mind – If Rapunzel were a real girl and not just an animated character, the poor gal would have the Mother of all neck pains! And I had those very thoughts as I visited one of these glorious castles in Europe that have gorgeous painted ceilings. I mean what were these guys on that got them through the stiff neck. Well folks, if the title did not tell you about the topic du jour, bet the recurring theme has by now. 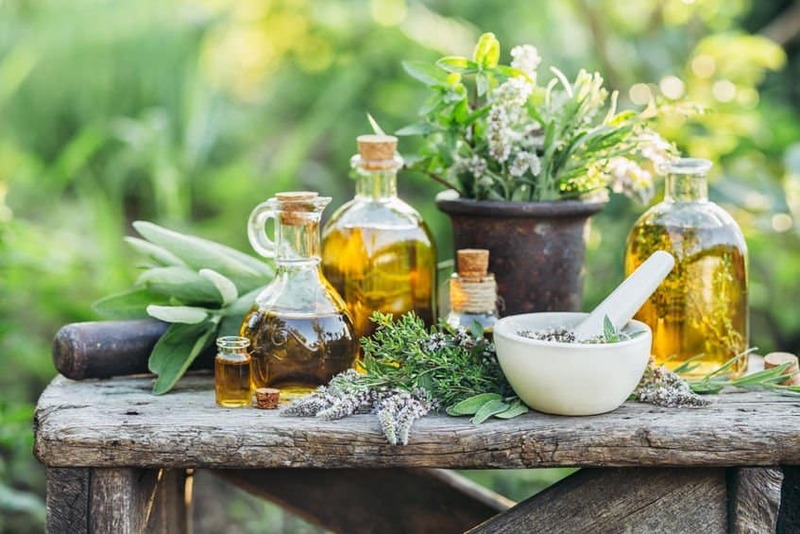 Hello Everybody, I am Olivia your helpful EO healer and I am back with soothing and all natural remedies for another one of life’s nagging pains. In fact, this one is an all-consuming kind of agony because it impacts a part of your anatomy that links your body to your brain. Is it any wonder then that when your neck suffers, the whole of you suffers? Be it cooking, driving, watching TV, cleaning or even sleeping, all those mundane tasks seem monumental when you are in the grips of neck pain. But, by Mother Nature’s decree you are going to suffer no more! Because right here and right now, you have just started reading Olivia’s ultimate guide to treating neck pain with essential oils. So, sit back and enjoy the read. By the time you are done, you will know exactly how to handle that nasty neck pain. Your Neck – A Pain Bomb Just Waiting To Explode On You! With an average length of about 4.5 inches, your neck certainly isn’t the biggest or the longest organ of the body but there sure are a lot of things crammed into the restricted space. To get a gist of what I am talking about, think seven bony, ring-like structures sitting vertically on top of one another. These vertebrae are a part of your spine and house the spinal cord. Millions of nerves that emerge from your spinal cord can be found all around these vertebrae. Plus, you have the discs that cushion these bony rings, muscles, blood vessels, lymph nodes, thyroid and parathyroid glands, trachea, larynx, esophagus and the skin that covers them all externally. Phew, even writing about all of them was cumbersome, so imagine holding all of these structures in one place. But, there is more trouble in store for your neck! This poor part of your body is perpetually balancing a bowling ball. Yes, that is your 11-pound noggin I am talking about, which is about as heavy as a medium sized bowling ball. To add to the troubles of your neck, the joints in the area allow it to move in six directions; that is a lot of movement for one small organ. But all of this has not stopped us from adding to the stress on our necks with all those tiny screens we carry around. Twenty years back, your neck only had the TV to worry about, now it is almost constantly bent out of shape to view the phone screens or held in place for hours as we hammer away at the keyboard. The moral of the story is that your neck gets no reprieve at all. And, you wonder why neck pain is so common? In the US, almost 15% people complain of suffering from one full day of neck pain each year. But, after all that we are putting our necks through, I am surprised more individuals don’t suffer from neck pain. Anyway, now that you know about the vulnerabilities of this part of your body, let me tell you more about the notorious pain in the neck. So, What Do You Know About Neck Pain? Chronic: In terms of severity, the pain is less intense but it lasts for 3 months or more. Acute: This is intense shooting pain and will last for 4 weeks or less. Slowly over a period of months: The pain starts out mildly and is usually experienced at the end of the day. Although the progression of the discomfort is gradual, over time, the pain does get worse both in terms of intensity and frequency of occurrence. Immediately: This type of pain is usually acute and is triggered by sudden strain. This could happen after an accidental injury or even in response to a night spent sleeping awkwardly. Delayed after injury: The neck pain may not be experienced for a few hours, days or even weeks after the injury, but then, it has a gradual onset with worsening symptoms over time. Sudden onset: This type of pain will hit you out of nowhere. It can start at any time of the day or night without a specific reason. Come and go at regular intervals or after certain activities. Become worse in response to movements such as sneezing and coughing. Start at a specific time of the day, like in the morning or at the end of the day. A lot of people experience muscle stiffness along with neck pain. A stiff neck makes it exceptionally painful to move the head from side to side. Some will feel a sharp stabbing pain that is localized in one area, usually at the point where the shoulders meet the neck. In contrast, others may experience general soreness and distinct tenderness in some areas of the neck. Many feel pain that radiates from the neck to other parts of the body, like the arms and shoulders. This is common when the nerves are involved in the problem. This type of pain is often described as burning and searing. Along with the pain, tingling and numbness or even weakness of the fingers and hands are other tell-tale signs of nerve related neck pain. Headaches also often accompany neck discomfort. Some people also complain of dizziness along with a headache. Simply put, there is no way to tell how your neck problem will manifest itself in terms of actual symptoms. But the good news is that most sharp shooting pains that are limited to the neck area are not serious. That said, take a look at some of the factors that cause neck pain. What Leads Your Neck To Get All Achy And Sore? Sprains and strain are the most common causes of neck pain. Sleeping in the wrong position or holding your neck at an awkward angle for a long period of time will usually cause muscle fatigue, which leads to pain. A poor posture and repetitive motions can not only cause neck pain but also lead to permanent damage. Case in point, the notorious text neck that so many millennials are sporting these days. Injury of any kind to the bony structure of the neck or the muscles, tendons and ligaments that support it can cause a lifetime of pain. Usually, such injuries are sustained while indulging in sports or outdoor activities or because of an accident. For example, the infamous stinger is a common sports related injury that causes searing pain to run down from the neck to the hands. A whiplash is common injury sustained in case of rear-end collisions. The sudden jerk subjects the soft tissue around the vertebrae to a great deal of stress, which leads to tissue rupture or tear. Degenerative diseases that involve the spine, particularly, the vertebrae in the neck will also cause chronic neck pain. For instance, a herniated disc, cervical spondylitis, and pinched nerve will all cause neck pain and several other symptoms. In rare cases, the neck pain may be linked to an infection. For example, tuberculosis, meningitis, viral throat infections and septic discitis may cause neck pain and stiffness. When Should You Seek Medical Opinion For Your Neck Pain? The pain radiates to other parts of the body. The pain starts immediately or within a few hours of sustaining a neck/head injury. You experience numbness, tingling or burning sensation in the arms, shoulders and/or hands. There is loss of balance or coordination. The pain is accompanied by unexplained chills and fever. There is loss of bladder and bowel control. The pain gets progressively worse or does not improve at all. The discomfort lasts for more than 6 weeks. There is unintended or unexplained weight loss along with the pain. There are frequent instances of cognitive impairment. Even a light tap on the spine leads to pain in the neck or the whole spine. You have a fierce headache, particularly when you bend your head forward. You experience episodes of thunderclap headache. You feel a constrictive or throbbing pain on one side of the neck and head. You have general weakness, awkward gait, heavy feeling in the limbs. You experience sudden and unexplained episodes of dizziness, nausea and vomiting. You have a history of an autoimmune disorder. You are HIV positive, use steroids or illicit drugs. You experience pain in the other major joints as well. There is significant inflammation in the neck area or other parts of the body along with the neck pain. How Will Your Doctor Treat Your Neck Pain? This includes everything from massage to muscle strengthening exercises, the use of kinesiology tape, and in some cases, even dry needling. Based on your specific requirements, you may need one or several sessions per week and the treatment can span over 4-24 weeks. Usually, this approach is adopted for neck pain that is attributed to poor posture, old injuries (several years old) and ailments like cervical spondylitis. NSAIDs are prescribed for both acute and chronic neck pain. At first, most doctors will start the patient on OTC pain pills and gradually advance to prescription meds. In fact, till about 2 years ago, opioids were frequently prescribed to control neck and spinal pain. These are administered either in the cervical facet joint or the cervical epidural space. The needle is inserted under the guidance of X-ray and the steroid used helps to curb nerve and muscle tissue inflammation. In turn, this enables the patient to resume normal activities and the pain relief aids in continuing and progressing with physical therapy. In terms of the approach used, this option is the same as the one above. But, the material used for the injection may be dextrose, saline, cortisone or lidocaine. This modality is generally adopted when the pain is linked to well-defined trigger points in the neck musculature. Although the treatment is nuanced, the results seldom last long and often the patient does not achieve the desired pain relief. This option is considered when the pain is caused by a herniated disc, bone structures in the neck that are irritating nerve roots, to stabilize or decompress the spine and incase of accident injuries. I admit that often surgery is the only option to prevent damage to the spine and a lifetime of pain. However, do not jump the gun and elect to go under the knife unless it is absolutely required. Because these procedures involve getting too close or even handling the spinal cord, the stakes are truly set too high. The side effects can be life altering and chronic and may involve permanent damage to the nerves. 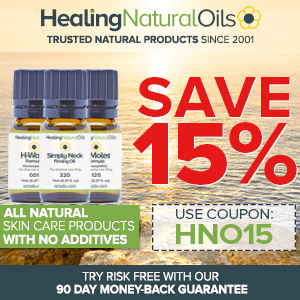 Why Should You Consider Essential Oils For Treating Your Neck Pain? I am going to answer this in two words – Safe and Effective! I am certainly not saying that a damaged or ruptured disc or any other compromised bone structure will magically go back to being the way it was just because you are using an EO blend. However, let us not forget that in the majority of cases, neck pain is caused by strain on the soft tissue in the area, inflammation and nerve irritation. Essential Oils can help with all these causes and more. Plus, they can be used for years without worrying about their side effects, which is more than what can be said for any pain medication out there. Whether it is a cortisone injection or opioid pills, the goal behind adopting these treatment modalities is to control the inflammation and the pain and make it possible for you to go through physical therapy. Well, guess what! EOs can offer just as much pain and inflammation relief. Furthermore, these volatile oils will also drive away the stress that usually accompanies chronic pain. So, why not take the safe and natural way out? I am not the only one to sing paeans in praise of the anti-inflammatory and healing benefits of this oil; most EO users will second my stand on this. Clove EO not only helps to lower muscle pain, inflammation and stress but is also effective against impaired flexibility and movement issues of the neck joints. This volatile oil soothes, calms and heals all at once, so what is not to like? Furthermore, its analgesic, anti-spasmodic and anti-rheumatic effects have been confirmed through studies on human subjects. This one is what I like to call a master healer. 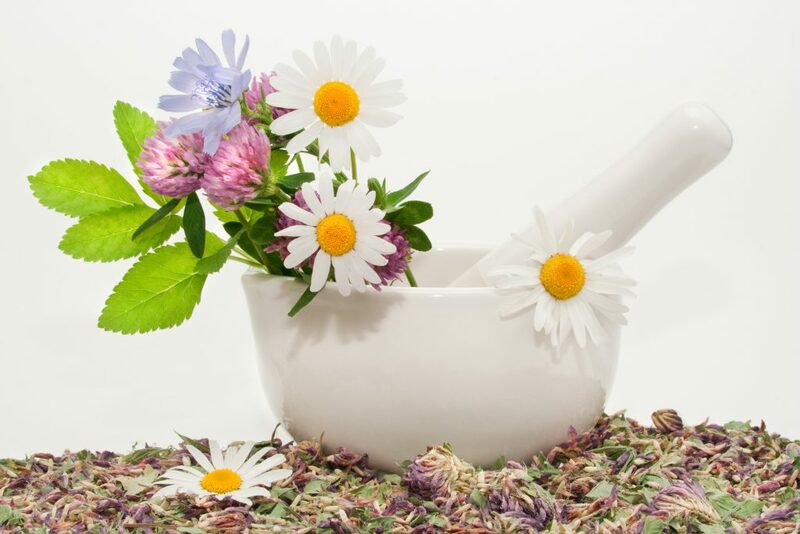 A 2013 study proved that the phytocompounds in helichrysum EO work rapidly on both soreness and inflammation. So, it is no wonder that it is found to be effective against all types of joint pains, including discomfort caused by cervical spondylitis and fibromyalgia. This oil will prove to be another reliable classic in your pain relief arsenal, thanks to its warming properties. Known to help against muscle spasm and circulation issues, Marjoram EO also has mild sedative properties and has been used for years to treat rheumatic and arthritic pains. However, do not use this oil if you are pregnant or breast feeding. Extracted from a shrub that is also known as the nosebleed plant, this volatile extract helps to calm all signs of inflammation, including redness, swelling, soreness and muscle stiffness. The superlative anti-inflammatory properties of yarrow EO are attributed to its content of methyl salicylate, which is nature’s very own aspirin. This is another extract that has antispasmodic properties, so it is very effective against muscle strain, muscular pain and spasms. Moreover, this essential oil regulates the workings of the lymphatic system. So, the toxins that get accumulated in the sore area due to inflammation get flushed out faster and have less time to create trouble. Apart from its ability to relieve pain, muscular tightness, spasms and inflammation, eucalyptus oil also boasts of an uplifting aroma. So, along with the discomfort of neck pain, this oil will also target stress points, which may be the cause or the effect of your problem. In addition to these oils, I have also made use of other volatile extracts in the recipes listed below. For their ability to act on the heat receptors of the skin, I have used yarrow, basil, lavender, cypress, ginger, wintergreen as well as cayenne, although the latter is not for the light hearted and should only be introduced into the blend when you are dealing with intense pain. 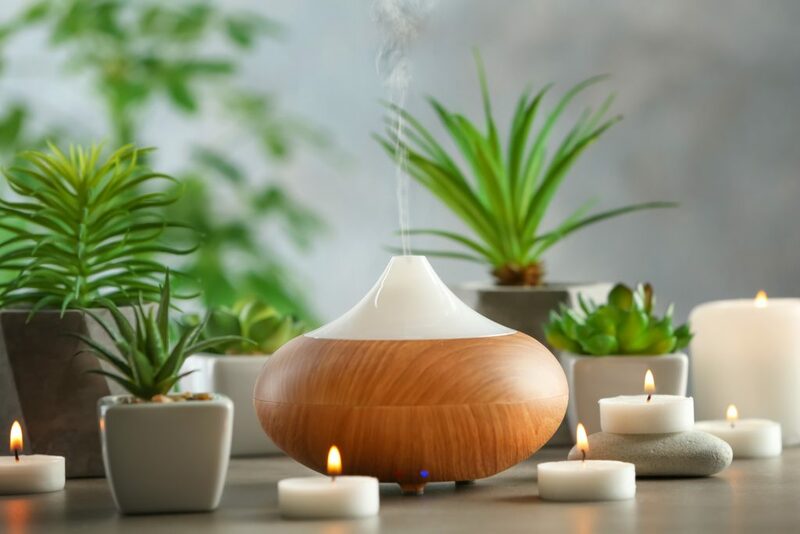 Additionally, you will also see the usual anti-inflammatory soldiers of Mother Nature like frankincense, geranium, German chamomile, vetiver, rosemary and ylang ylang. So, put on your blending hat and let’s get started. Before I dig deep into the EO recipes, the popular and best-selling FDA-listed L’orpur pain relief blend is a proprietary blend of 8 essential oils and 2 carrier oils blended to perfection for all types of chronic and acute pain. It comes in a 3.3 oz (100ml) bottle, is cheaper than other similar branded pain-relief products and comes with a spray head for ease of application. Shipping is free in the US. Mix the castor oil and the mustard (or chosen carrier oil) in a glass bowl. To this mixture, add the EOs; stir using a glass stirrer or a wooden spoon. Once the lipids have been blended, pour into a dark colored glass bottle, preferably one with a roller ball head and store away from direct sunlight, heat and moisture exposure. To use, apply directly on the sore areas, using the roller ball head or with your fingers. You won’t need more than 2-3 drops to cover the neck. Do not massage this liniment into the skin. Just apply and let it act on the pain and inflammation. Also, this recipe contains two very potent oils, wintergreen and yarrow, both of which have methyl salicylate as the major bioactive component. So, use this blend only to deal with intense pain and no more than 2 times a day. Also, keep it away from kids and pets. But then again, this warning applies to all essential oils and EO blend. This blend is particularly well suited for neck pain brought on by strain and stress. Mix all the oils and store in a dark glass bottle. Use as you would any massage oil/lotion but remember that when you are dealing with neck pain, your mantra should be “easy does it”. You can massage your neck but don’t get too vigorous or adventurous with your strokes. Move your palms sideways and be as gentle as you can. The idea is to soothe the irritated nerves not to aggravate them more. Instead of overdoing the massage, for greater relief, try a salt hot compress after the massage. You will need some sea salt or Himalayan pink salt and an old, cotton pillow cover. Put about 2 cups of salt in it and tie with a piece of cloth. Warm in the microwave till it feels quite hot to touch. Be careful not to burn the cloth. Cover your neck with a small towel and use the hot compress on the sore areas. As the homemade hot compress cools, you can remove the towel and use the salt pillow directly on the painful parts of your neck, working sideways towards the shoulder blades and downwards till you reach the upper back area. Mix and store the blend in an amber or blue glass bottle, preferably one with a dropper. Use 2-4 drops in any diffuser about 30 minutes before bed time. This blend works well when your neck strain and fatigue are chasing away your sleep. This blend can be premixed and stored in a dark glass bottle for use whenever required. This cold compress recipe is very effective when you have swelling and pain in the neck area. Usually, if the neck pain is attributed to an injury or a degenerative ailment like spondylitis, you will see some amount of swelling and/or redness. These are tell-tale signs of inflammation, and the first order of the day should be to get it under control and then treat the pain. This blend is primarily meant to address the inflammation. So, you can alternate it with the hot compress and/or massage meant for pain relief, as long as the treatments are administered 8-10 hours apart. An ideal approach would be to start your day with inflammation control and end it with pain relief. To use, pour water into a large bowl (salad bowl) till it’s half full. Add a cup of salt to it and mix well. Throw in about 10-15 ice cubes because you want the water to be very cold. Now, mix 3-4 drops of the EO blend. It will take a bit of whisking to disperse the oils in the water. Once you have the concoction ready, soak a face wash cloth in it and wring to remove the excess water. Place it on your neck and keep it there for about a minute and repeat. Do this for about 15 minutes and you will see a noticeable improvement in the swelling. Run yourself a hot bath and add the Epsom salts to the water. Mix the EOs with a teaspoon of milk and then pour the mixture into the bath tub. Agitate the water to to ensure that the lipids are at least somewhat dispersed. It is best not to have large droplets of EOs floating on top. Soak yourself in this relaxing bath for 20-30 minutes. If possible, dip your body into the water all the way up to your chin, so that your neck and back are both submerged in the soothing warmth of the water, salt and EOs. Would you bend and damage the columns and beams that hold up the roof of your house? If not, then why have you been doing that to your spine, which is basically the lone column that supports your body? Even simple changes like making a conscious effort to walk and sit upright, getting an ergonomic friendly chair, adjusting the position of the screen and the keyboard to avoid neck strain make a profound difference to both the frequency and intensity of neck pain; not to mention that you will be saving yourself from years of chronic pain if you act now. All that time you spent with your head bent over your smartphone is making things hard for your neck, so don’t do it. Make a choice and a conscious effort to avoid straining your neck and back muscles and joints. The simplest and most effective way to do that is to not bend your spine out of shape unless you are indulging in some form of yoga. As long as you hold your smart phones at eye level, your neck won’t have much of a problem even if you text away all day long. You would be surprised at the significant impact that your pillow can have on your spinal health. If your pillow throws your neck and spine out of alignment, you are basically spending 7-9 hours every day roughing up the joints in your neck. Now, that one hell of a delicate and overworked organ you are dealing with. So, play nice and get yourself a pillow that supports your neck while keeping your head aligned straight with the rest of your body. In fact, spend at least 5-10 minutes each day lying on your back without a pillow under your head. If you are used to sleeping with a high stack of pillows, there is a strong likelihood that you are already on your way to developing cervical spondylitis. Many pilates moves are specifically designed to strengthen and stretch the neck and the spine. Particularly, exercises like the head nod and the full body roll up help to increase strength throughout the spine and the surrounding muscles. The discs that cushion your vertebrae need hydration to maintain their protective abilities. So, give your body some much needed H2O by following a diligent, daily hydration regimen. Yes, I am talking about the 8 X 8 equation here; 8 ounces, 8 times a day. Remember folks, if gulping down pain pills is all you are doing to stop that neck pain, you are doing your body, including your neck great disservice. Neck pain takes a while to go away on its own and sometimes never does. Another problem is that it never stays at one level of intensity. In other words, don’t do something to control the inflammation and the muscle/nerve irritation and the pain will get progressively worse, regardless of the cause. While surgery is an option in some cases, even doctors prefer to reserve this one for when all else fails, which should be enough to tell you about the risks involved. But then my question to you is, why put up with the pain or resort to the use of harmful pain medication and invasive procedures when chiropractic manipulation and alternative treatment modalities like aromatherapy, acupuncture, massage and yoga have been proven effective? The best part is that you can combine all these approaches to prevent and cure neck pain. 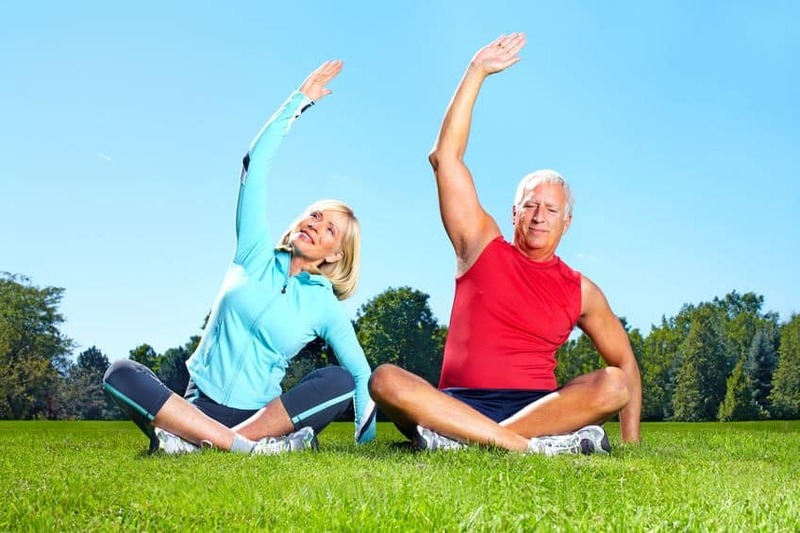 In fact, even the simple combination of yoga stretches and EO blends along with the occasional massage will be enough to kick neck pain out of your life. So, get savvy about pain management folks because your body and you deserve better than OTC or even prescription pain killers. And on that note, here is wishing you guys a pain free life full of healing and soothing aromas! I had alot of these symptoms after a car accident. I saw an orthospinologist, who really helped me. I can turn my head now, pain is less, migraine are less often & severe, gait is gone, weakness is less, pain is manageable… Worst symptom I had was I developed seizures (up to 40 a day); after one correction my seizures completely & immediately stopped. Thanks for sharing, it is much appreciated. I am savoring this information. I’m 72 as of May 9 and I have servical spinal stenosis. I went through many medical procedures at my pain specialist two years ago which culminated in a rizotomy on the left side. I also went through a lot of therapy. I’ve used EOs for about a year and a half. I also get pain meds, but although I use them, they often don’t do as well as the EOs. I will try some of these recipes and maybe some oils I’ve not used before. Wish me luck as I was within an inch of having invasive surgery until the rizotomy. First of all a very Happy Birthday. Thanks for your ongoing contribution on the various posts. Glad you are such an avid reader and follower. Good luck and as always hit me with any questions you may have.